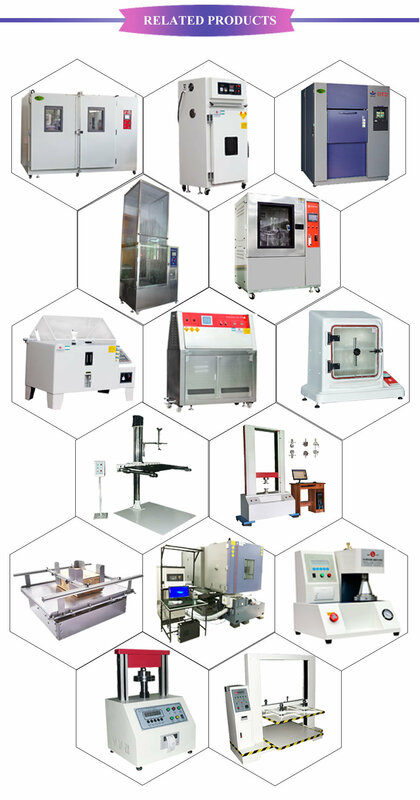 Test material heat, cold, dry resistance, humidity resistance.Suitable for electronics, electrical appliances,Communications, instrumentation, vehicles, plastic products, metal, food, chemical,building materials, medical, aerospaceand otherÂ Â products. / uniformity Â±0.1Â°C;Â±0.1%R.H./ Â±1.0Â°C;Â±3.0%R.H.is special optional condition. Inner and outer materials SUS#304 Stainless steel for inner chamber and Carton Advanced cold plate nano paint for outer. 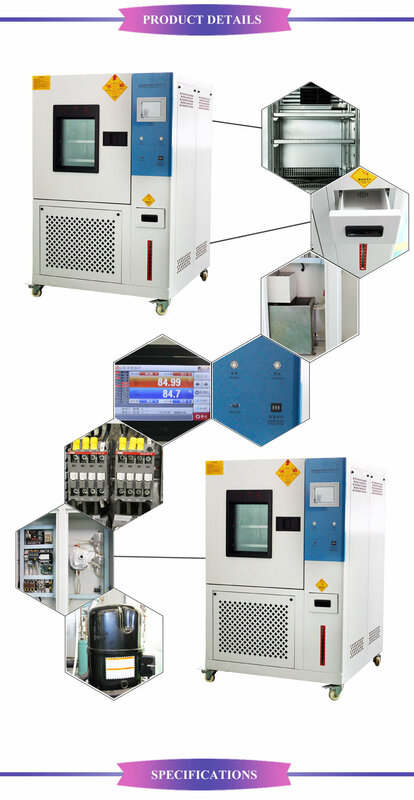 Ã˜ Test material heat,cold,dry and humidity resistance. Ã˜ Suitable for electronics,electrical appliances,communications,instrumentation,vehicles,plastic products and Â Â metal parts. Ã˜ Suitable for food,chemical,pharmacy,medical,building materials,aerospace and other products. 1.Â HowÂ toÂ chooseÂ theÂ mostÂ suitableÂ fitnessÂ equipmentÂ steelÂ tensileÂ testingÂ machine? Â andÂ theÂ requiredÂ specification. 2.Â What'sÂ theÂ deliveryÂ term? Â daysÂ afterÂ depositÂ receipt.Â IfÂ youÂ areÂ inÂ urgentÂ need,Â weÂ canÂ considerÂ makingÂ specialÂ arrangementÂ forÂ you. 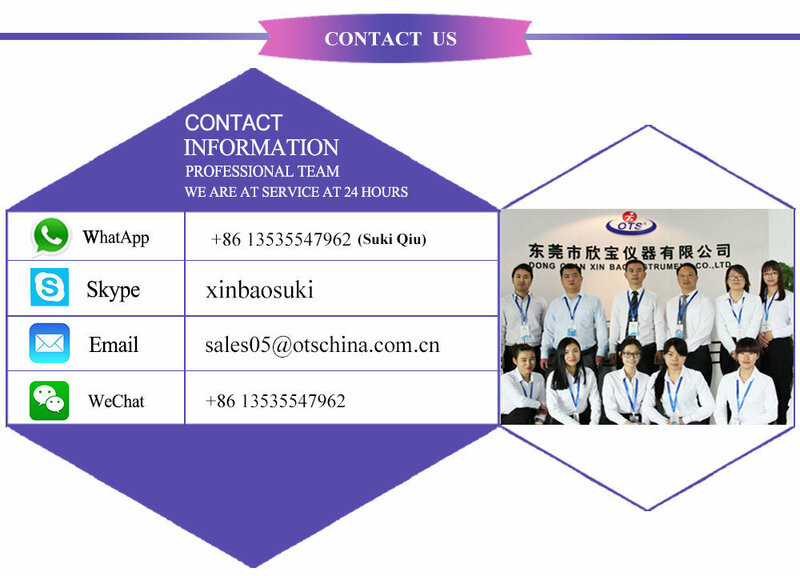 3.Â DoÂ youÂ acceptÂ customizationÂ service? Â request.Â Don'tÂ hesitateÂ toÂ tellÂ usÂ yourÂ requirement,Â weÂ willÂ tryÂ ourÂ bestÂ toÂ meetÂ yourÂ needs. 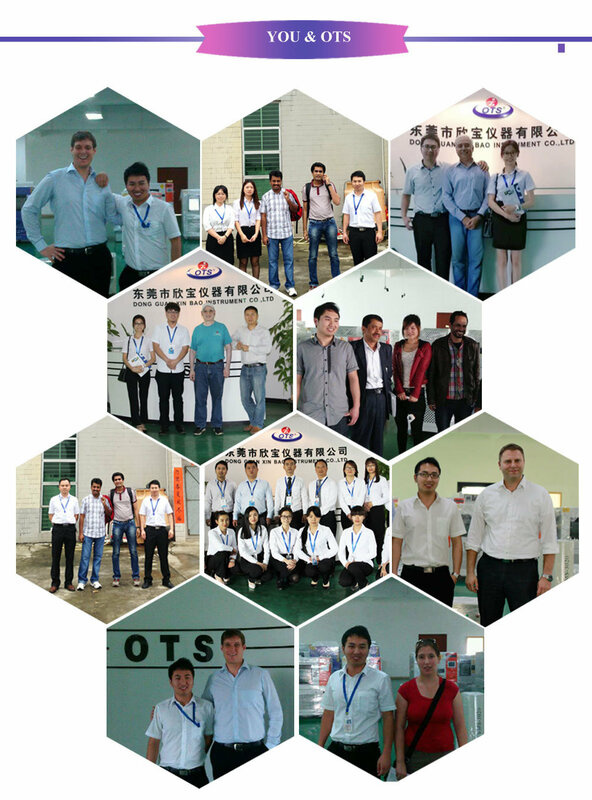 4.Â CanÂ weÂ visitÂ yourÂ factoryÂ beforeÂ order? Â hotelÂ andÂ pickÂ upÂ youÂ fromÂ airport. 5.Â DoÂ youÂ haveÂ customersÂ ofÂ ourÂ countryÂ before? 6.Â HowÂ aboutÂ yourÂ warranty? Â change,Â necessarily,Â ourÂ engineersÂ mayÂ goÂ toÂ yourÂ placeÂ forÂ betterÂ service. 7.Â HowÂ aboutÂ theÂ packingÂ forÂ machine,Â isÂ itÂ safelyÂ protectedÂ duringÂ transportation? Â machinesÂ abroadÂ byÂ seaÂ orÂ byÂ airÂ withoutÂ damage. 8.Â WhatÂ isÂ theÂ orderÂ process? 9.Â HowÂ toÂ installÂ andÂ useÂ theÂ product? Â TheÂ productÂ isÂ shippedÂ withÂ anÂ operatingÂ instructionsÂ andÂ videoÂ ofÂ EnglishÂ version. Please send me your inquiry,so that we can talk about the details.